View cart “Pocket Floor Stand” has been added to your cart. It allows playing the instrument while both standing up or sitting down, and has a custom, easy to use, height adjusting mechanism. 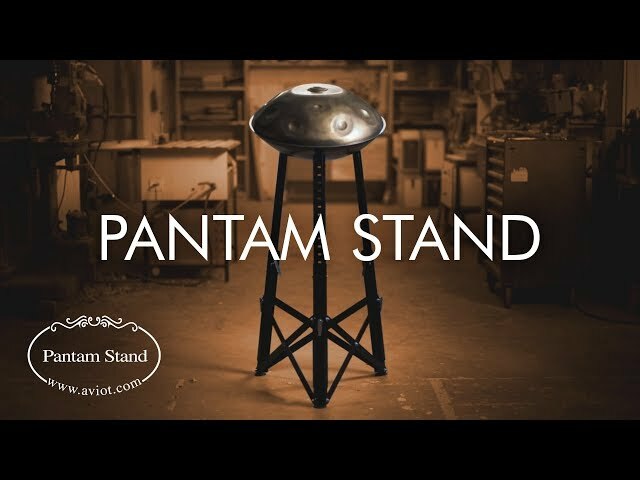 The Pantam Stands are fast to setup and makes it easy to switch between standing and sitting playing positions. They offer yo a great freedom of movement by playing while standing up, and makes playing multiple Pantams feel truly natural. Each Stand is made out of Anodized Aluminum and Stainless steel, using materials of the highest quality. The special contact pieces holds the istrument from sliding, while keeping it’s beautiful, resonant tone. Each Pantam stand ships with a custom case and an adjustable carrying strap.